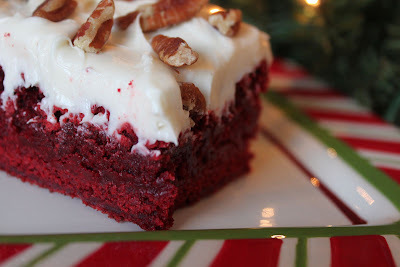 When I think of Christmas desserts, I always think of Red Velvet Cake. 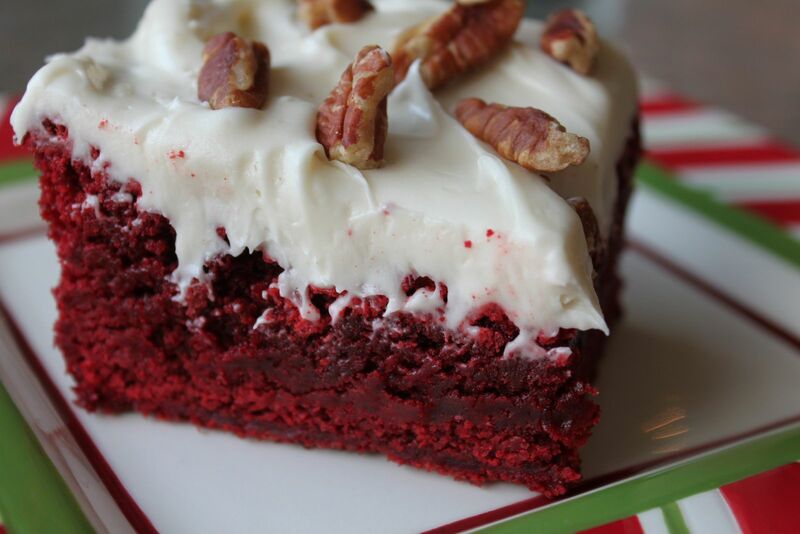 My aunt Barbara is famous for baking a beautiful Red Velvet Cake every Christmas. 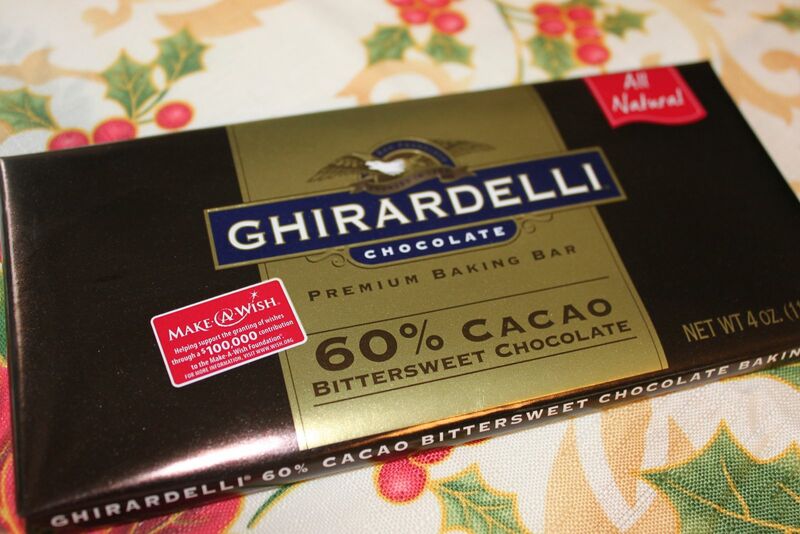 It is so rich that it's impossible to eat a whole piece. 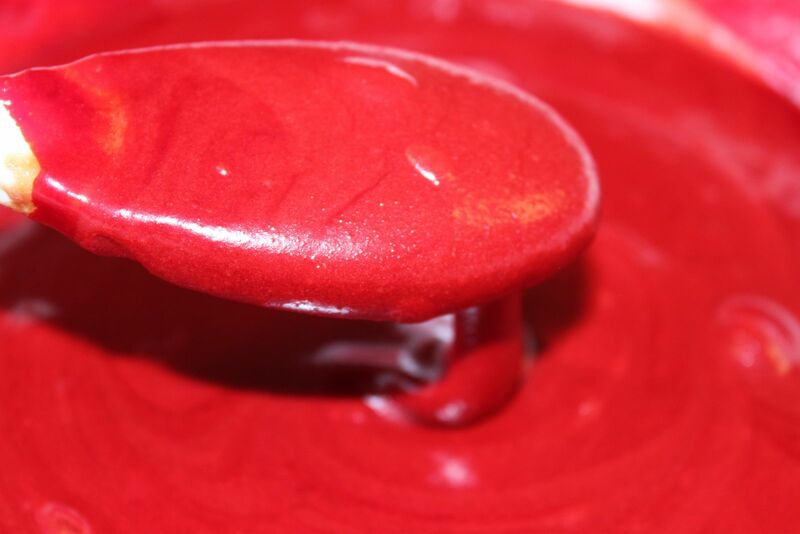 Unlike a lot of recipes for Red Velvet Cake, her recipe does not contain cocoa powder so her layers are a brilliant, bright red. 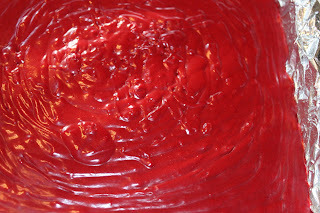 If I get enough requests, I will bake Barbara's Red Velvet Cake for the blog. 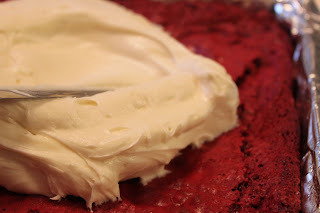 Until then, you'll have to settle for these Red Velvet Brownies - thick and dense and rich with cream cheese frosting. 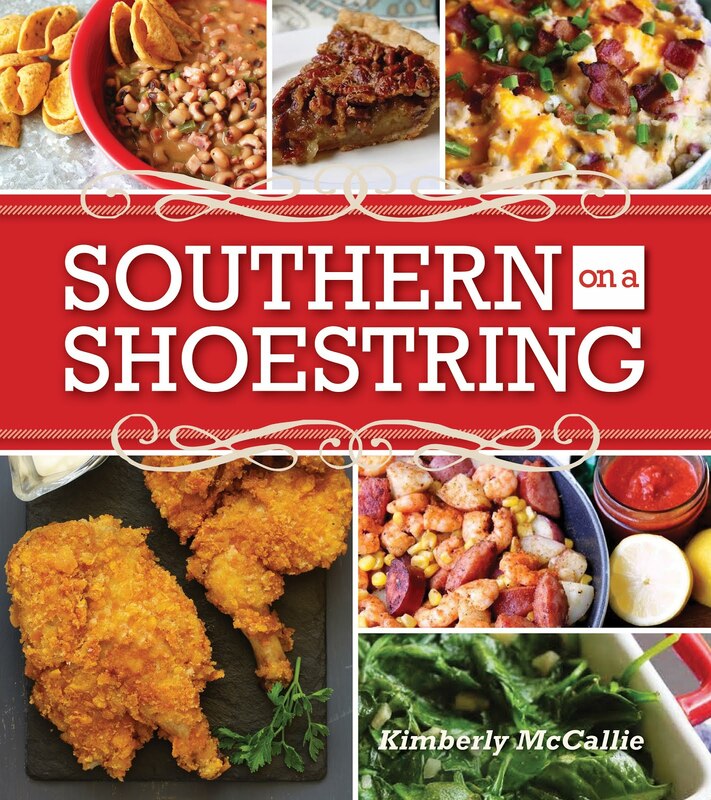 This recipe is from Southern Living's December 2010 issue. Click here to see the original recipe. 4. 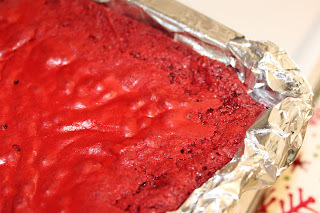 Lift brownies from pan, using foil sides as handles; gently remove foil. Spread Small-Batch Cream Cheese Frosting on top of brownies, and cut into 16 squares. Garnish, if desired. 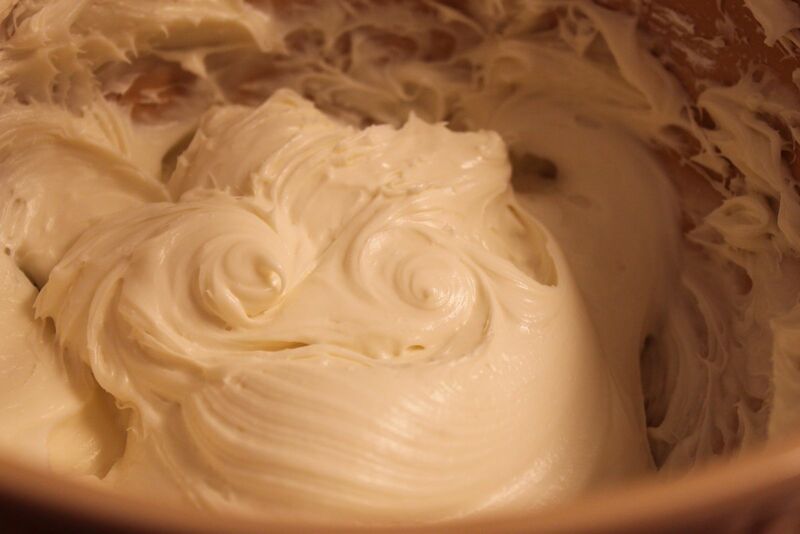 Beat cream cheese and butter at medium speed with an electric mixer until creamy. 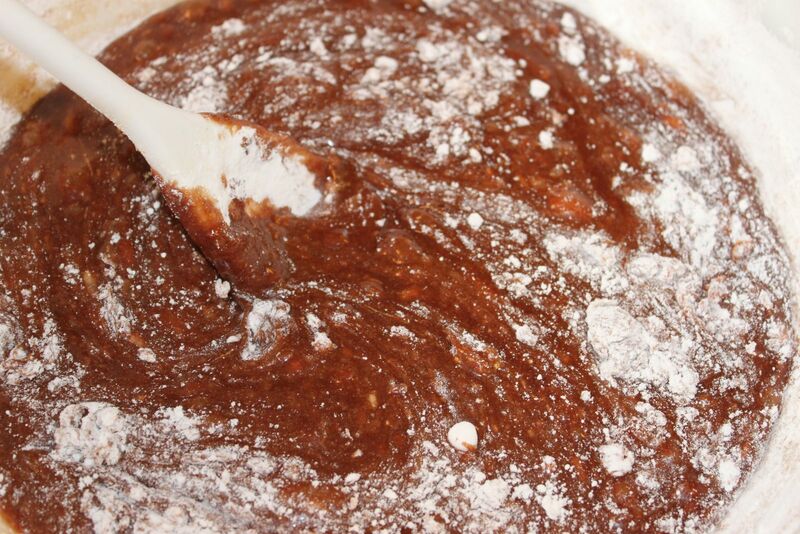 Gradually add powdered sugar and salt, beating until blended. Stir in vanilla. Start with one 4-oz. package of bittersweet chocolate. 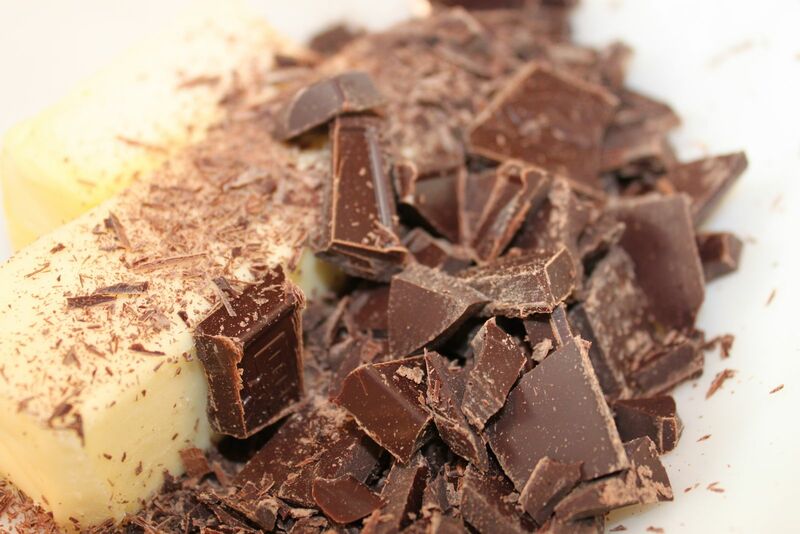 This photo is only for the chocoholics out there! Chop the chocolate and add to the butter. 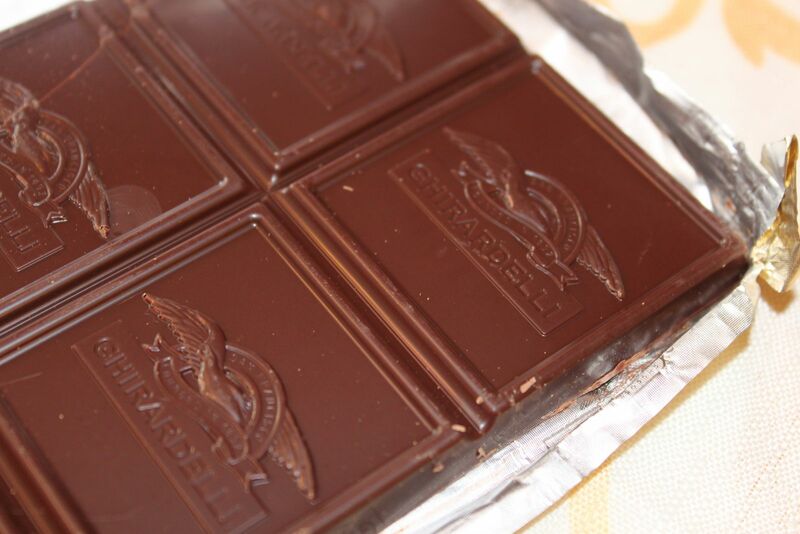 Melt in the microwave until smooth and silky. Add the sugar and eggs and beat with a whisk to make sure the eggs are fully incorporated. Add the remaining dry ingredients and vanilla. 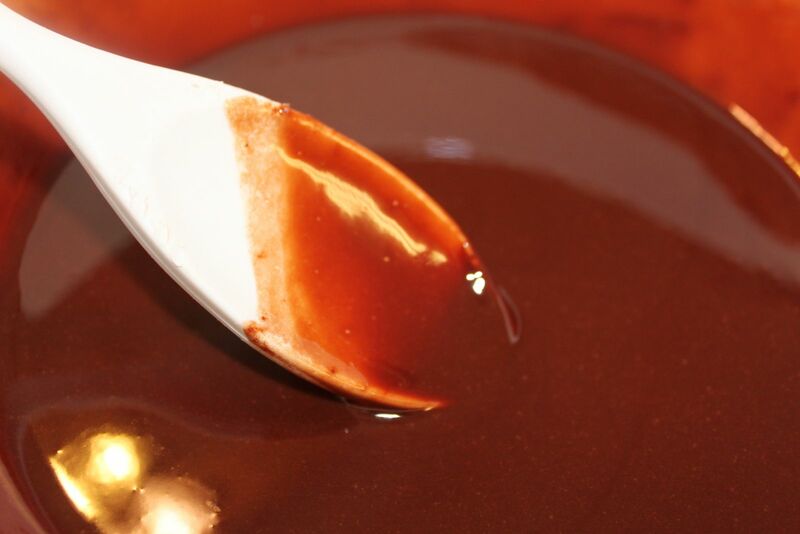 Stir until smooth. You will need a whole 1-oz. 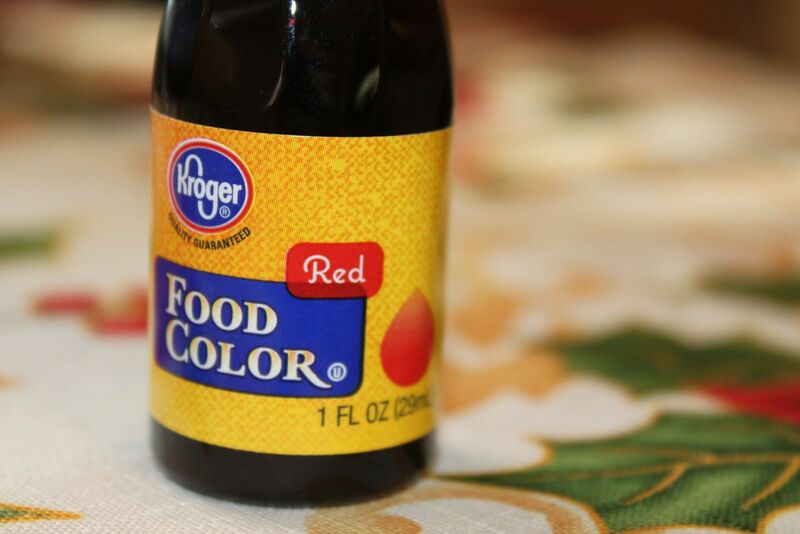 bottle of red food color, not the small bottle that comes with the four-pack of food coloring. Add the entire bottle of food color. 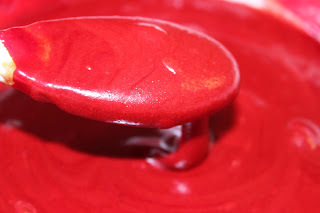 Yes, it will be very RED!!! 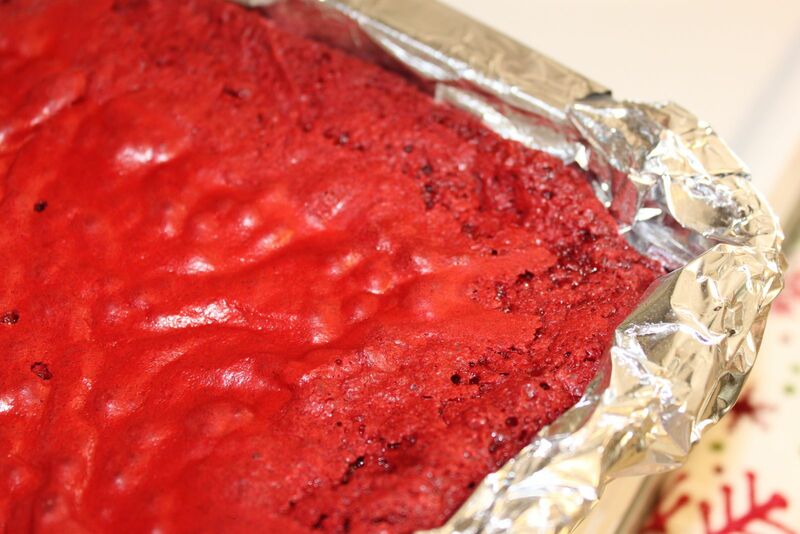 Pour into a greased, lined 9" square pan and bake at 350 degrees for 44-48 minutes. Now, here's my little brownie tip. I preheat the oven to 350, but as soon as I put the brownies in the oven, I lower the heat to 325. I think that baking at a lower temp prevents the hard, crunchy edges from forming. These brownies will be very dense and will have to cook for quite a while. 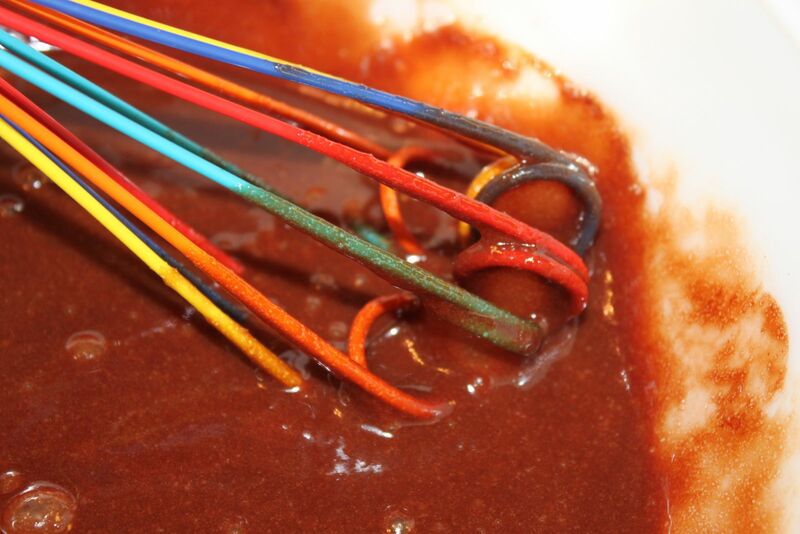 Start checking with a toothpick for doneness after about 35 minutes or so. They'll be done when only a few crumbs cling to the toothpick. After the brownies are done and cool, whip up the frosting. 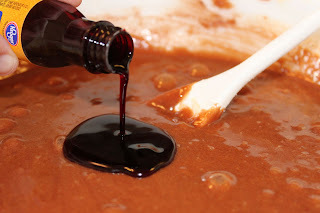 And, spread over the brownies. This is a generous amount of frosting. Now, that's a Christmas dessert!! Enjoy!!! This was my first time, too, Angie. 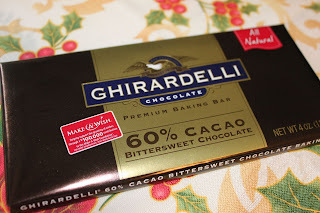 I loved them and will add them to my list of Christmas traditions. 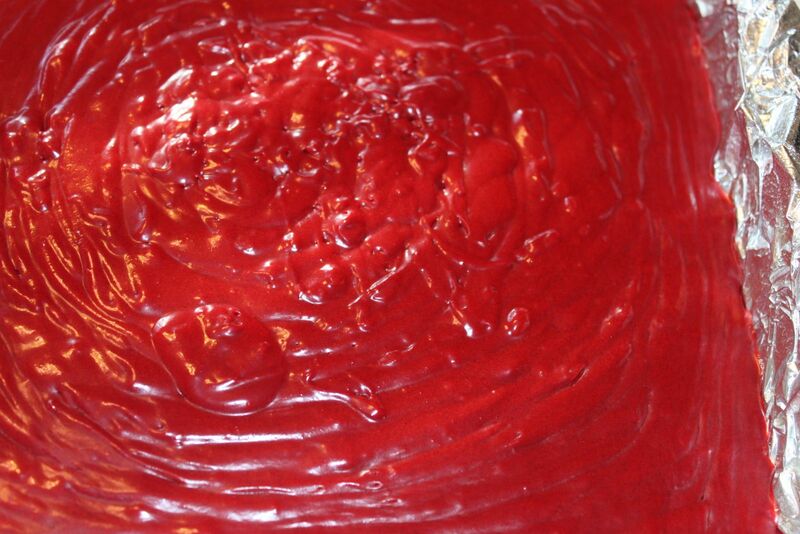 I have just recently made and enjoyed Red Velvet cake. This recipe looks good for a pan of browning. Festive! This is the same great recipe that I copied from an issue of Southern Living magazine! I've made it several times and they always gets great reviews! Simple to make and very very good! !